People who know me, know I love them ponies! So, of course, they have to show up on occasion in my jewelry. 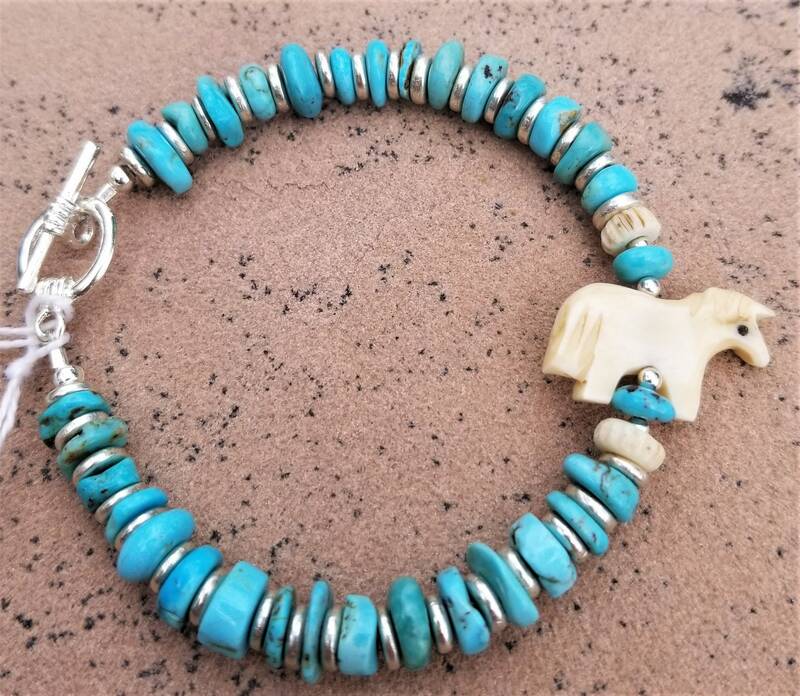 So here it is, the pony bracelet all decked out with Royal Beauty turquoise and silver-toned beads. 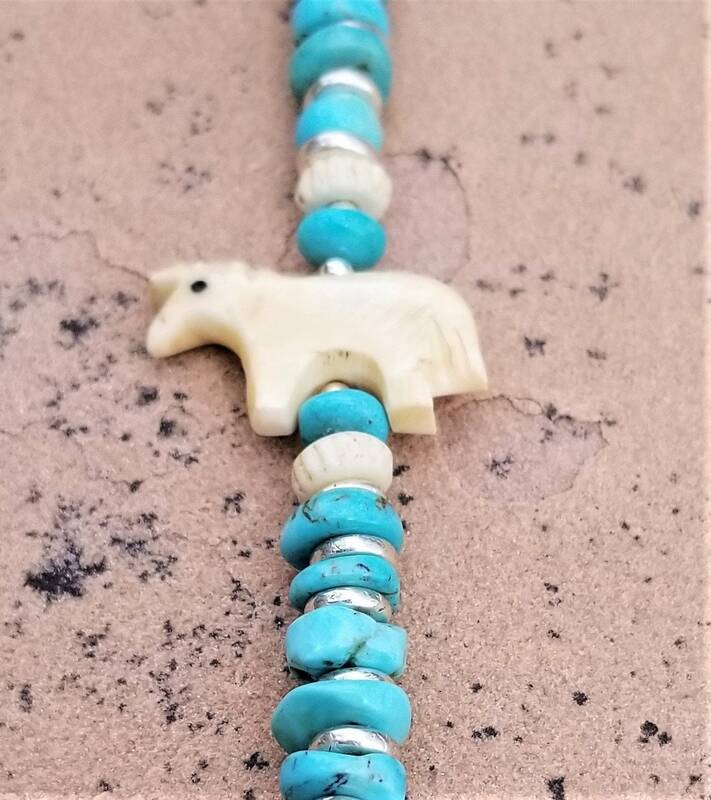 The pony is made from bone and just looks so nice with rough-cut rounds of the turquoise.